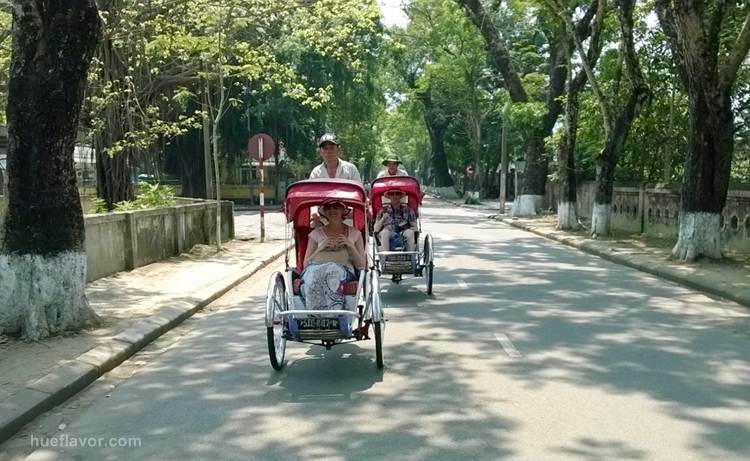 Cyclo ride is the best way to explore Hue city. You just sit on the cyclo to go through nice streets to get good look in Hue city. Travelers will get good change to take some beautiful pictures on the cylco with daily life of the local people. Cyclo ride is the best for relaxing with Hue street food tour.